I’ve spent a lot of time in the past few days thinking about handing out towels. As a woman in The Church of Jesus Christ of Latter-day Saints, I’m more concerned about my connection to heaven and my ability to serve than any particular responsibility I may or may not be given. An LDS Church announcement last week said that ordained priests, young men ages 16-18, will now be able to baptize in the temple and serve as witnesses while young women ages 12-18 will be able to assist in assignments, which in the past have been performed by women who have received ordinances in LDS temples. Both are aimed to help young people stand in holy places and prepare to make and keep sacred covenants. It helps them look beyond themselves. But these “tasks” were immediately interpreted by some to mean only one thing: handing out towels. I’ll admit, when the story first came over, I too made a joke about towels. While some scoff at this responsibility, which will be shouldered by many young women, I see it as a symbol of comforting others, of serving those who serve. 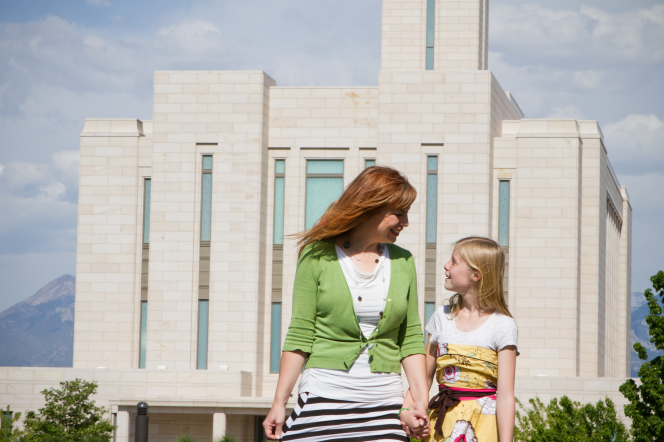 This responsibility will also help young girls connect with heaven as they connect with fellow Saints, witness God’s saving work and feel the power and peace found in the temple at a time in their lives when they really, really need it. The announcement is something to be celebrated rather than torn down or critiqued. It is about so much more than towels. One of the great opportunities of temple service is the opportunity to do as Christ would do - thy will, not mine, be done. Pride keeps us from doing God's will. Imagine for a moment the vast majority of the world, who if they knew what the temple and its ordinances mean to them and their kindred dead would do anything just to be able to pass a towel if it let them into God's Holy Temple? What a gift to our youth this announcement is. Only a fool would blemish it with griping. What victory is this? Let the glory be to God and the gratitude be ours. When attending the temple without my wife I often dress then ask the shift coordinator: Where do you need a patron? I have had so many wonderful experiences by just being there and serving where needed.